Rhonda helped me host a buffet dinner party for about 20 people, and she couldn't have been better. She was on time, professional, efficient, personable, and all-around wonderful. She made my life so easy that I was able to enjoy the party -- which hasn't happened for years! I would hire her again in a minute! She worked well on her own, supervised the placement of serving dishes and supplies, gathered glasses and dishes as people were finished with them, and cleaned up and stored all the leftovers. A true gem. Thanks for having me! It was a pleasure helping you out with your event. Please don't hastate to call it you need me again. I hired Rhonda to help out with my daughter's graduation party. I had a house full of family to help with the set up but I wanted them to enjoy the party and that was where Rhonda came in. Rhonda has great energy and was friendly and felt like family immediately! Rhonda filled all the platters, cleared plates and glasses and even washed dishes so my house was clean at the end of the party. I look forward to hiring Rhonda again for my next event! Rhonda handled a large party with many moving parts like a pro. Rhonda showed up 30 mins early and got right to work. She needed very little direction and even had great suggestions on how to present the food and what should go where. 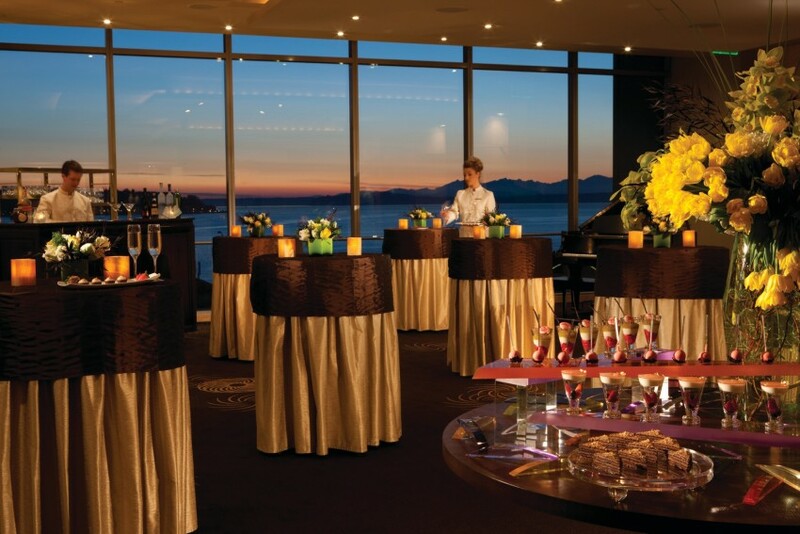 Throughout the evening she maintained the buffet table, the trash cans, and cleaned the guest's travel containers. Everything was nice and tidy by the end of the evening. My cleanup was minimal thanks to Rhonda. Several of my guests have asked for Rhonda's number because she impressed them so much. Rhonda is a real professional! Thank you Rhonda for making our party so easy. Thank you ! It was my pleasure to help you with your event. Looking forward to working with you again. Rhonda did a wonderful job making sure our party ran smoothly. She made it possible for us to enjoy our guests, without worrying about the details. Thank you so much Kim! I’m glad you were pleased with my service! It was such a pleasure. Yeeeeaaaah! That's what I love to hear! Trey & Takesha thank you for choosing I GOT THIS Event Staffing ! We look forward and hope to working with you again ! At first I was not sure if we even needed servers for the event since it was a buffet style, but these ladies took care of things I never even thought of. From checking coats, to collecting used items, to assisting the caterer, to clean up and even packaging left overs (yummy the next day) these ladies did it all. They were very warm and friendly and several of our guests commented on how helpful and personable Rhonda and her associate were. We will definitely be calling again for our next event! April It was a pleasure helping with your mother’s party and I really enjoyed working this event .It would be a great pleasure to assist you again. We recently hired Rhonda from I Got This! 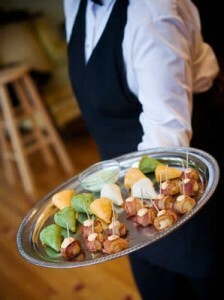 Event Staffing to help with a party at our house. We had about 50 guests and arranged for food and beverages ourselves. Rhonda arrived early and helped with party food prep, greeting guest, getting drinks, refilling buffet food, cleaning up party debris during the night, washing dishes, and putting away leftovers at the end of the party. She did all this with very little direction. She had everything organized and was very efficient at getting things done ahead of schedule. Rhonda made it possible for me to really enjoy the party and it was so nice not to have to do anything once the guests left - Rhonda had done all the cleanup!!! I highly recommend I Got This! and will hire Rhonda again for our next event. Thanks Rhonda!! Thank Marcy , it was wonderful to work your event.I am happy that I made a success. The staff was kind,ontime,professional,and helpful their services allowed me and my husband to enjoy our vow renewal without any stress I definitely would use them again and recommend them to anyone who asked they are a wonderful company and we definitely appreciate them. Thanks Shanita! It was a pleasure being there to help with your event .I look forward to working with you again . We recently hired Rhonda from I Got This! Event Staffing to help with a milestone birthday party at our house. 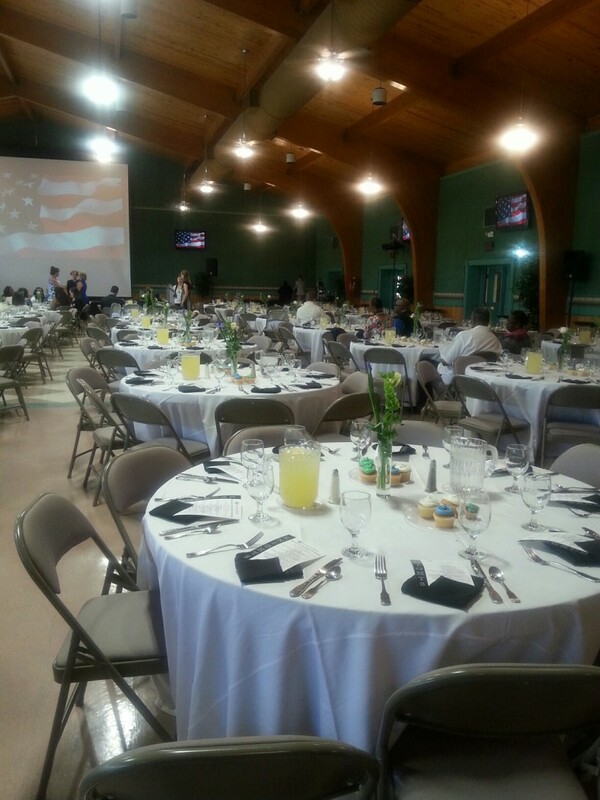 We had 40-50 guests and arranged for food and beverages ourselves. Rhonda arrived and helped with party food prep, maintained the kitchen and food trays, cleaned up party debris during the night, washed serving trays and bowls, and put away leftovers up at the end. She did all this with very little direction. We told her where to find serving bowls, trays, and trash bags and she took care of the rest. Everything was perfect. I have rarely enjoyed a party more! Rhonda arrived early with professional dress. She is friendly and personable, but focused on the task at hand--keeping your party great--at the same time. I didn't have to worry about a thing. Many of my guests commented on what a great job she did. She will be our first call for our next event. Thanks Kate, It was a pleasure being there to help with your event .I look forward to working with you again . We threw our daughter an engagement party at our home on May 13, 2017. We had 70 or so guests. I use I Got This Event Staffing. Rhonda and Neecy were absolutely life saving! They were very professional and extremely helpful to us! Karen, thanks for the kind words it was a pleasure working with you and your awesome family. I was very impressed with Rhonda and her demeanor and appearance. Very professional and proficient with back of the house and front. I am looking forward to future events with I Got This! Rhonda and her team showed up (on time) while I was still in mid-preparation as I was running behind. They IMMEDIATELY jumped in and started helping with the prep. They constantly cleaned up for me as we were doing the final prep together. They were creative and helpful. While serving they did a great job of making sure everyone got what they needed. Further, they cleaned up afterwords and did a great job. My event was SO MUCH BETTER because of Rhonda & her team. I would absolutely hire them again. Sue thanks for all the kind words, I really want to thank you for have us and at any time if you need me please feel free to give me a call. Rhonda was way more than I expected! She arrived ahead of the scheduled time, started setting up before I even knew she had arrived and was very professional in every way. She was quick to understand my expectations, in fact she had already anticipated them and was on top of the whole plan. She was fantastic in every way! Thank you so much, Mr. Phil! I was so happy that you chose me to help.I look forward to working with you again. Rhonda and her team did a wonderful job at my birthday party. They arrived on time and get working immediately. They did everything that I asked them to do and more. I will hire them again. Words can‘t express how pleased my husband and I are with the service that was proved to us on our wedding day from I GOT THIS! Event Staffing Rhonda and her staff did an amazing job .It’s shows that Rhonda really loves what she does .Rhonda and staff show up at the venue before my container and started setting up immediately. The overall experience was professional and friendly everyone who worked the wedding did an amazing job. They were beyond professional in every way .We couldn’t have done it without them. I strongly recommend and I will definitely contact I GOT THIS! Event staffing for any future events I may have, Great Jobs Guys! If you are on the fence about whether or not to hire Rhonda, do it!!! You will not have any regrets. She is professional, reliable, on time, and did a fabulous job at a housewarming party I had a couple of weeks ago for 30 people. She is an incredibly hard worker, takes initiative, and did a great job keeping food refreshed, cleaning up after guests, getting drinks for guests, and taking their coats. I cannot say enough good things about her. I definitely plan to call on her again! She is the best. Thank you, Tory, for the kind words.It was a pleasure to help!I'm here to help anytime you need my service . We had a small dinner party for 10 and wanted to be sure to focus on the guest of honor. We contacted I Got This! Days before the event to see if a bartender/server could be arranged for the party. Rhonda and Gladys were extraordinary! Arrived early, patiently waited, helped with unloading cars and set-up (which we desperately needed). Rhonda made sure both client and staff was good to go and, once guests arrived, left us to our party. If I had my good sense, I would have tipped Rhonda! I really appreciated the customer service! Most owners don't show up to personally meet the client and stay to help but I was so wrapped in guests, I forgot. Bad client (chastising myself...lol). Gladys stayed and REALLY took care of the guests. She was amazing as bartender and service attendant. We wrapped up dinner and she had that kitchen SPOTLESS! Our guests felt like guests and I was able to enjoy them. The drinks were spot on too! If you want to be a guest at your own event ....CALL RHONDA! She's got this! We definitely will again. Thank you for the kind words! I'm glad you felt like guest and I was able to enjoy yourself . Rhonda and her staff helped to make my wedding unforgettable. They did a fantastic job preparing and setting up the buffet table. They were flexible, even when I forgot to leave them some of the necessary tools to setup. I would highly recommend Rhonda and her staff for any event as they are reliable, professional, and knowledgeable. My wedding wouldn't have went as smoothly as it did without their help! Highly recommend Rhonda and her team at I Got This! We hired Rhonda and her company to cater our party for about 90 people. She was already there when I arrived and immediately started helping with the setup. Her two assistants were very professional and helped in all aspects of the setup. Once the party started, they were on top of everything. My wife and I relaxed and had a good time because Rhonda made sure everything was taken care of. At the end of the night, they quickly helped take everything down. Besides being good at her job, Rhonda and here people were very friendly to all of the guests. Several of our guests praised the service she provided as well. Great help and easy to book! I hired 2 servers for a party and was extremely happy. 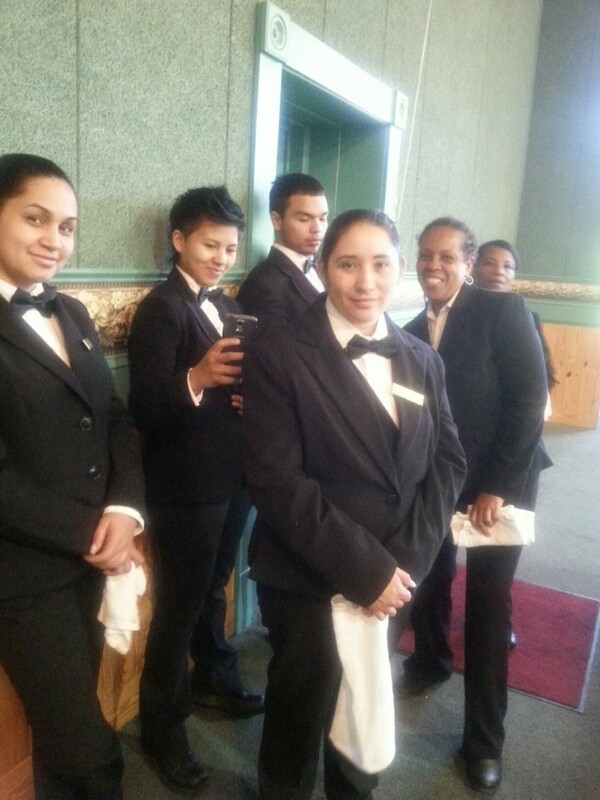 They were easy to book, the servers showed up on time and dressed appropriately and were a great help throughout the night even cleaning up without any direction. I will definitely use this service again! Rhonda was great! She arrived on time; looked and acted very professional. This helped to ease my mind as we were expecting over 65 people. Upon her arrival, she immediately took over the kitchen and buffet; asked all the right questions and quickly set up the buffet. As the evening progressed, she needed almost no direction and we were able to enjoy our guests. Her assistant , Nicole, was also a great help. The buffet stayed filled, and the kitchen clean and organized. This was the first time in years that I actually enjoyed myself at my own party! I will almost certainly call on Rhonda for my next large function. Rhonda came to my rescue when I decided last minute to hire someone to help me with my party. She came looking very professional and had an awesome attitude. She did a great job! I was so very impressed with Rhonda's services and I've used other event staffing services before. I booked only two weeks prior to the busiest holiday party night and she really came through. I can be very particular about how my parties run so it was nice to have this kind of assistance where we are on the same page. As soon as Rhonda and Nicole (bartender) stepped in the door, they jumped right in to set up and get everything ready prior to guests arriving. I didn't even have to direct - Rhonda has a great sense of what should go where and when to do what - I could truly relax and enjoy my party. They took coats, served hot apps, mixed unique drinks, and interacted really well with the guests. Without even noticing, they had cleaned up everything, taken out the trash and left just enough food and beverages out for those late night guests who would be hanging around for a while. Now that I know, next time, I'll have Rhonda cater the whole event so I can truly do nothing prior. She seems to love what she does and it shows. I would not hesitate to recommend I GOT This for your next event. No regrets. I GOT THIS was fabulous! I GOT THIS! Goal is to assure that your party runs smoothly while allowing you the chance to actually enjoy it.I GOT THIS! 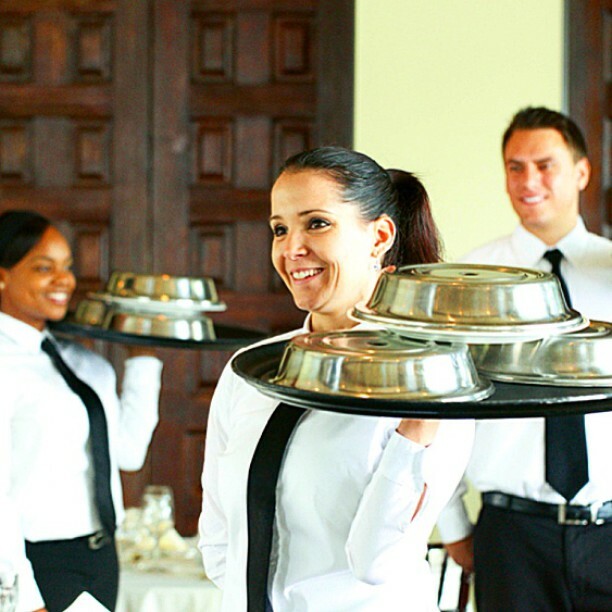 Event Staffing is the place to go for all your event need .Our experienced staff want to see you enjoy your event .We handle any event including Weddings, Birthday Parties, Corporate events, Company Parties, Graduations, House Warming's , Retirement Parties, Backyard Barbeques, Baby Showers, Open House, Special Events. Any kind of parties or events where experienced.